Our Kindy room is where we continue to build on the skills that children were developing in the Pre-Kindy room. Our talented and highly qualified team of educators are here to ensure children feel safe and supported. In our Kindy room, children learn numeracy and literacy skills as they start writing their names. They also continue to develop their self-help and fine motor skills. It is also at this stage that we encourage children to satisfy their own needs when it comes to playing, by providing opportunities for children to gravitate to activities they are naturally interested in. Children this age are very curious, and to encourage their natural interests, we include science experiments and we use unconventional materials in arts and crafts projects. Children learn about different planets, plants, animals, and use materials to continue exploring, learning, and understanding the world around them. At Strathpine Early Learning Centre, we provide nutritious meals which are prepared daily in the centre, so you don’t have to worry about packing lunch every day. 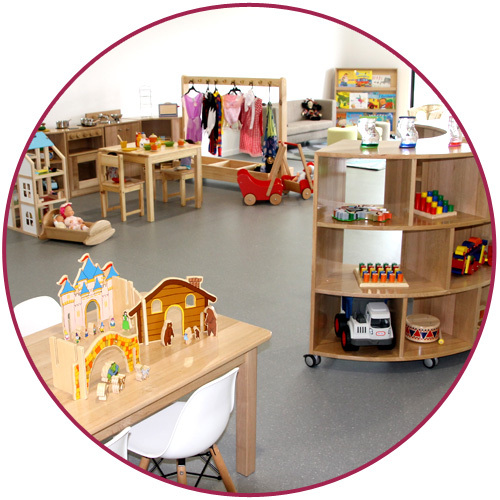 Our centre also has an amazing outdoor environment which has been specifically designed to inspire children's learning through play and features many different areas for the children to enjoy. Our Kindy room can accommodate 22 children on our busiest days.